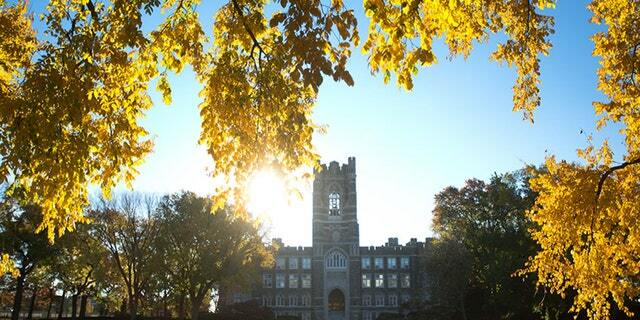 A Fordham University journalism student just weeks from graduation died after falling from the iconic campus clock tower, apparently while trying to take a picture. It is reportedly common for students at the university to climb the Keating Hall clock tower, touch the bell and take photos of the NY city skyline from outside one of its windows before they graduate. The 22-year-old and her friends reportedly climbed the tower's stairs in the Bronx, N.Y.at roughly 3 a.m. Sunday morning, and was later rushed to the hospital after getting critically injured. "Our hearts go out to Sydney's parents, and her family and friends-theirs is an unimaginable loss, and we share their grief", he said. Students were then told they needed to take a photo outside one of the top windows with against the skyline. The Post reported that students who climbed the tower and took photos described it as a "rite of passage" at the school. She also suffered pelvic injuries, according to the New York Post. "There are no words sufficient to describe the loss of someone so young and full of promise", he said, adding that Fordham would issue her degree posthumously. According to U.S. media reports, Ms Monfries slipped on her way up the tower's spiral staircase and was found by emergency services at about 3.17am. "As the clock tower is a rather unsafe, and therefore secured, area of campus, students would likely face disciplinary action if they entered it". But some said they have never heard of being allowed inside the tower. "If it is, it's kind of stupid", junior Linda Yenicag said. "They usually go late at night at around 1 or 2 a.m.to drink and see the view". After climbing the narrow staircase inside the tower, Monfries uploaded a video of the view to Snapchat, captioning it: 'Bell Tower, ' according to The New York Times. It had the caption, "Bell tower".